Part of the fun in looking at sequels is to compare them to previous iterations. 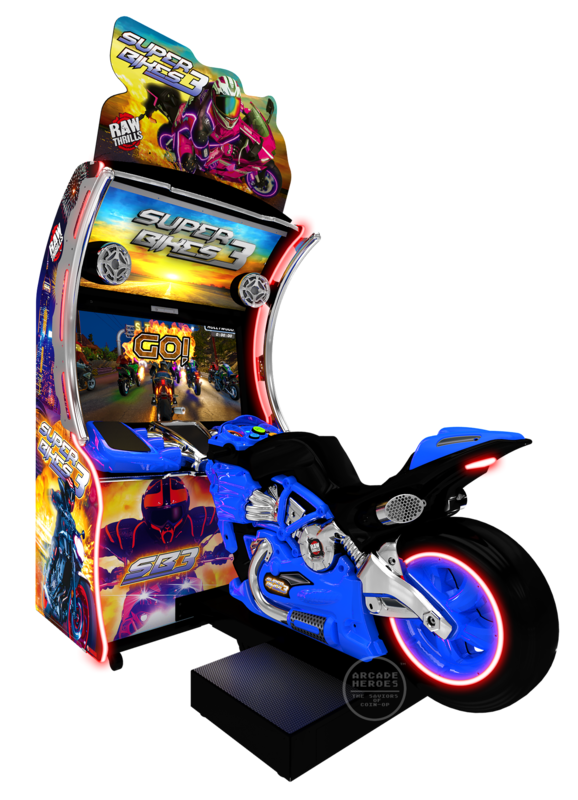 Here’s how the game has evolved since Super Bikes 1. 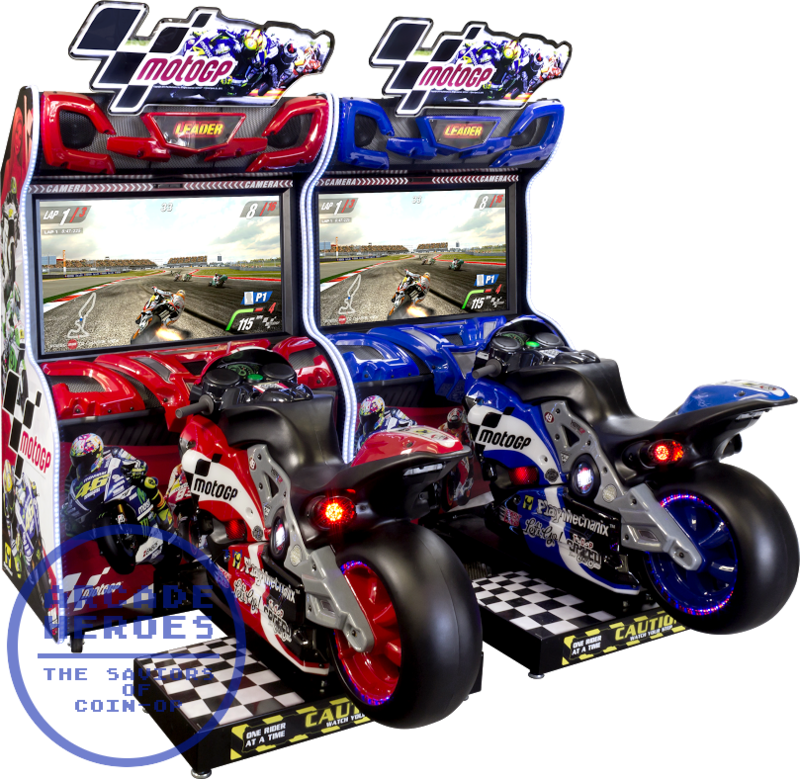 I’ll also throw MotoGP in, since that was kind of Super Bikes 2.5. That’s not all however – we’ve been provided with the sales flyer of the game for you to enjoy. 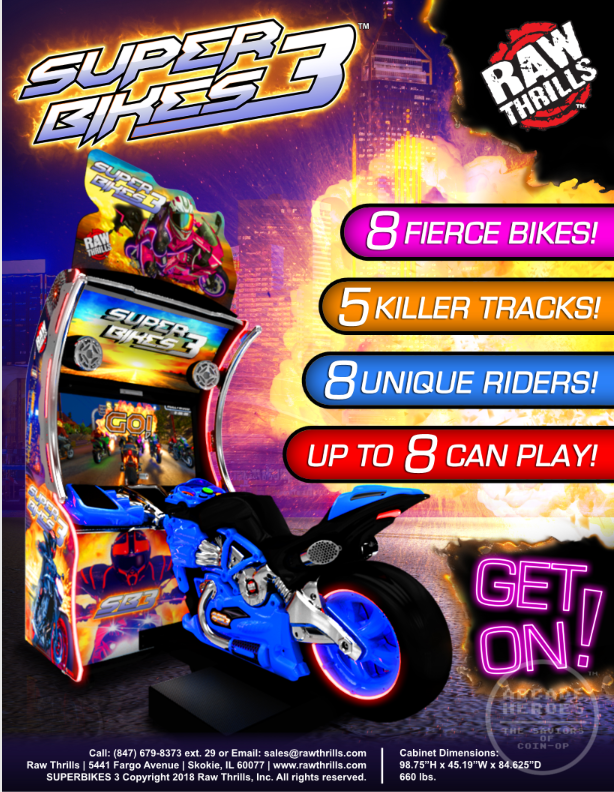 From this, we learn that you have 8 different bikes & riders to chose from; it also shares something in common with Cruis’n Blast, featuring 5 tracks to race and the ability to link up to 8 units. We’ll have to wait and see if any of these tracks are new to the series or are remasters of one of the many classic tracks found on the first two games. What do you think about the game from what has been revealed so far? Good stuff, I like racers with action and a good speed experience. Most realistic racers are a bit boring to me. Sounds ok but it seems a bit of a repeat unlike atv slam by sega but it’s interesting seeing all the different versions coming out over the years. 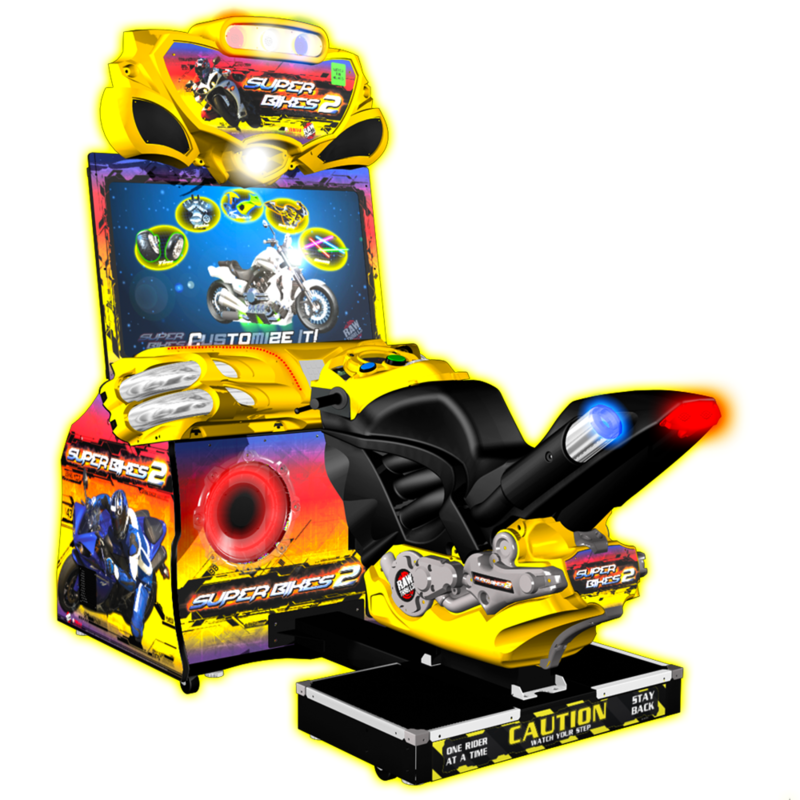 Seems like rawthrills will steal the show with all the content they have with all their games unlike namco. Speaking of which I wonder what namco has in store? If anything other than products by other companies such as rawthrills.